An illustrated history of the Robson family, descendants of William Robson (1761-1844) of Flamborough in the East Riding of Yorkshire. This book, written by a great-great-great-great- grandson of William Robson, traces the various branches of the family in the fishing, herring curing, building and seed crushing industries. 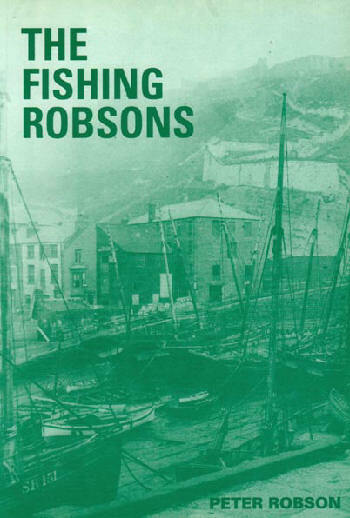 Although the book is centred around the Robson family, the story includes a good deal of general historical information about the family's activities and the places where they lived - mainly Scarborough, Hull and Milford Haven. There are detailed genealogical tables which include all the known (in 1998) descendants of William Robson. The book also features 77 photographs, 19 line drawings, a folding pedigree and an index of all related surnames. First published in 1991, this is the second edition and contains family details updated to 1998. A5 size (210 x 148 mm). 192 pages. Laminated card covers. ISBN 978-1-872686-20-2 See the slideshow below for some images from the book.